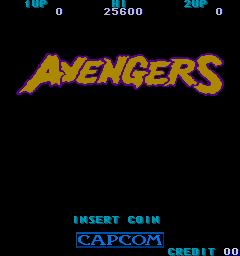 Avengers is an early overhead arcade beat 'em up from Capcom. 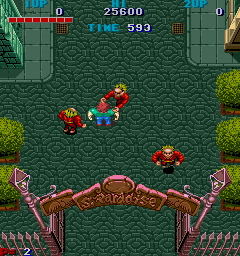 Like most brawlers, it has an urban setting and its plot revolves around kidnapped girls. You can punch and kick but not jump or throw. You also die in one hit. 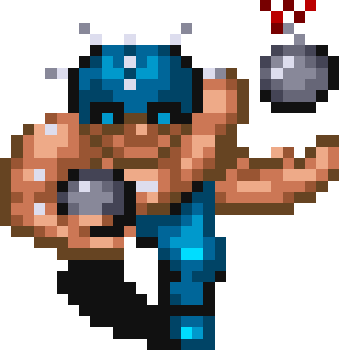 Although there are large waves of enemies, most of them die in one hit. 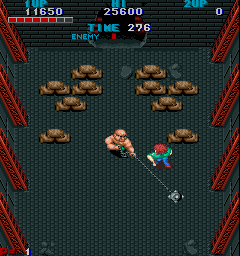 Bosses, on the other hand, have plenty of health and require skill and strategy to beat. COME ON! COME AND GET ME! 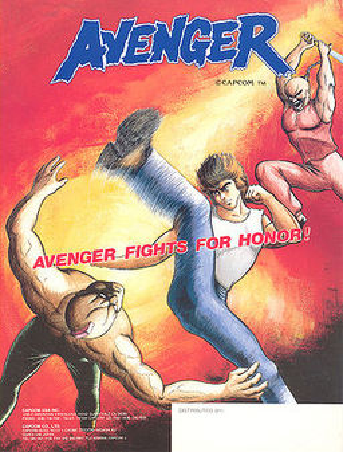 Although it barely counts as a brawler, this is the very first one from Capcom. 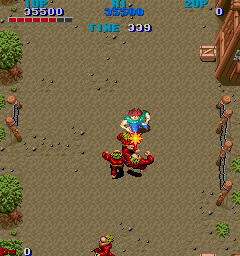 This game is very similar to another Capcom arcade game, Gun.Smoke. 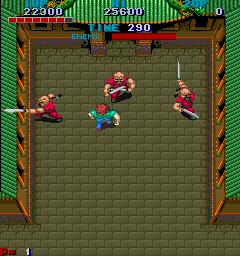 In Japan this game is known as "Deadly Ruffian Fist." Avengers is alright considering its age. It's not exactly a brawler because most enemies die in a single hit, but it's still a fairly hectic action game with solid enemy design. 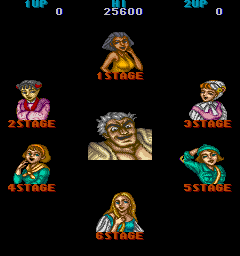 Bosses are a lot harder than stages, although they do have set patterns that can be exploited. Its presentation is fairly bland and unremarkable.